Bugleweed does its work by inhibiting the action of thyroid hormones and the reproductive hormones associated with the menstrual cycle. It also reduces levels of prolactin, the hormone that triggers breast milk production. Buy 1 for $17.36Buy 2 / Save $0.93!Buy 3 / Save $3.47! The herb is a creeping perennial that grows to about 2 feet in height and has a mint-like smell. It was discovered on the banks of streams in Virginia, but now grows throughout North America. A closely related plant called Gypsywort is found in Europe. Bugleweed's medicinal value lies in its fresh or dried above-ground parts collected during the flowering season. Hyperactive thyroid condition may indicate a more serious health imbalance. It is important to consult your healthcare provider if there is any question regarding the nature of this imbalance. 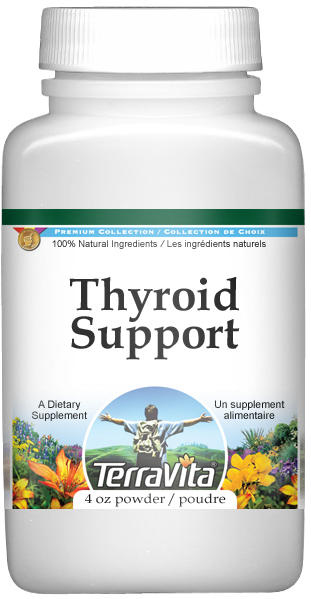 Do not use if you are currently on thyroid or hormone medication.